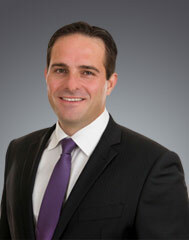 Sean Delpopolo has been protecting the legal interests of plaintiffs for over 20 years in Queensland, including areas such as Brisbane, Gold Coast, Mackay, Cairns and Townsville. He is an accredited specialist, an expert in his field and experienced in both plaintiff litigation and insurance defence. Sean has been voted by his peers as one of the best work litigation lawyers in Queensland as recognised in the Doyle’s Guide. As a father with two beautiful girls, Sean understands your situation and your need to protect your legal interests for yourself and your family. With Sean, you will always get easy to understand, realistic and in-depth legal advice about your claim. Clients trust him because he has built a dependable reputation as a legal professional by working in some of the largest law firms in Queensland. Tina Veivers is a skilled advocate and negotiator who does everything in her power to get her clients the best result they can from their legal claims. She brings over 10 years of legal experience to the table in plaintiff litigation law, and does not back down from a tough legal battle. If you require a lawyer who will fight to protect your legal rights every step of the way then Tina Veivers is the lawyer for you. She is an accredited specialist with experience in insurance defence law. This means that she knows and has used all the tricks and arguments that may be used against you by the insurance companies and their lawyers. Tina’s experience, initiative and professionalism results in excellent results for her clients. Tina’s reputation includes a track record of working in some of the most prestigious firms in Queensland, and a long list of satisfied clients who are happy with their results. Tina is also the mother of 2 children and understands the struggles that families can go through during tough times. She is willing to spend considerable time with her clients to make sure they understand their legal rights. Her legal advice is precise, easy to follow and realistic to your situation. Tina was admitted as a Solicitor of the Supreme Court in 2003 and is a member of the Australian Lawyers Alliance. 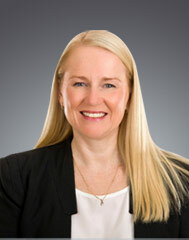 Helen Ashton is an experienced and skilled lawyer who fights every day to achieve what is right for her clients. An accredited specialist, having been awarded the highest achiever award for the course in 2015, Helen has a high level of knowledge and technical expertise. Admitted as a Solicitor of the Supreme Court of Queensland in 2001, Helen has extensive experience in running all types of claims. Helen has a friendly and approachable personality and strives to ensure that her clients are kept well informed and are provided with quality and practical legal advice. As a mother of three young children, Helen understands the impact events can have on a family unit and works proactively to achieve the right result for her clients in the shortest possible timeframe. Helen has the ability and the experience to assist clients’ with a wide variety of claims, including claims with a high level of complexity and those that have had catastrophic consequences. Tina is a senior lawyer with over 20 years of experience in the legal industry, with the majority of that time committed exclusively to plaintiff litigation law. 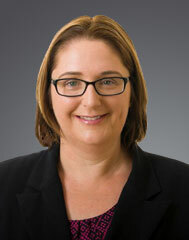 Tina has worked in some of the largest law firms in Queensland. She provides reliable and prompt advice in a way that’s easy to understand. Tina is attentive to her client’s needs throughout a claim. She has a reputation for aggressively pursuing the legal rights of her clients, and working diligently to get the best result for her clients. 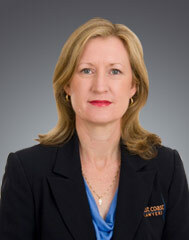 Tina was admitted as a Solicitor of the Supreme Court of Queensland and High Court of Australia in 2010. 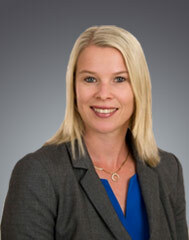 She is also a member of the Australian Lawyers Alliance and Gold Coast Women in Law. Since joining the East Coast Lawyers team as practice manager in 2009, Julie has consistently worked hard to lead the support team in building up the success of our clients’ cases. Julie is a key player in our firm’s organisation and overall office efficiency strategy. With almost 30 years of office administration experience, Julie has worked in a variety of industries including real estate, tertiary education, legal and hospitality. Her qualifications also include a background in Human Resource Management with over 7 years of experience. Julie uses her expertise to maintain and promote the efficiency, accuracy and professionalism that East Coast Lawyers’ reputation stands by. The results can be seen in East Cost Lawyers’ consistent outcomes for our satisfied clients. Julie accomplishes her professional responsibilities every day but also finds time to be a dedicated mother to her children. She enjoys spending time with them and taking them to their extracurricular activities including tennis, ballet, Cubs and Scouts Australia. Despite the professional demands of her career, she still finds time to be an active parent volunteer within the School and Scouting community. East Coast Lawyers Rated 5 Stars based on 64 combined genuine client reviews from our Brisbane Office, Gold Coast Office and Southport Office. Enter your details below and one of our accredited specialists will contact you as soon as possible for a free, no obligation case review.